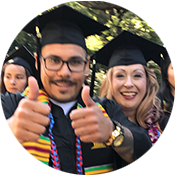 Gavilan College counseling faculty provide career counseling services to help individuals understand themselves, the world of work, and occupational opportunities. Counselors can guide and assist individuals through the planning and career decision making process . Please schedule a counseling appointment. National Career Development Association has a list of internet resources you may find very helpful, click on Resources on the top bar. Resources for Veterans - match military skills with civilian careers. The San Francisco State Career Center has developed an extensive site with career links for different occupational areas (health, government, high-tech, education, etc.). Career Planning Links is a site developed by Cal Poly San Luis Obispo that provides a wealth of information regarding personal assessment, majors and careers, specific career information based on academic interests, and volunteer opportunities. 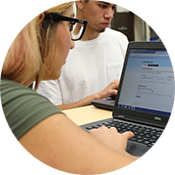 The Career Center at Gavilan College has excellent resources and access to the Eureka program. The Eureka software program offers individuals an opportunity to self-assess. It also provides detailed information regarding careers, occupations and programs of study. (UNCW) University of Tennessee sponsored site on "What Can I do with a degree in..."
UC Berkeley developed a site for individuals who may be considering careers in the health field. Careers for Math Majors: http://weusemath.org/?q=careers O*Net Online free career exploration site. Career Adventures provides options for students interested in English, Math, Science, Art and Social Science careers. Interested in becoming a psychiatrist? Find out more. Information regarding union apprenticeship programs can be found at www.unions.org. For information regarding career opportunities, wages, and employment trends, visit America's Career InfoNet,Career One Stop, and the U.S. Department of Labor. It is advisable to review the information collected on the Internet with a professional counselor.